By the time of James Nasmyth's retirement in 1852, all the basic type of machine tool in use today had been invited -lathes shaping and planning machines, milling machines and grinders. 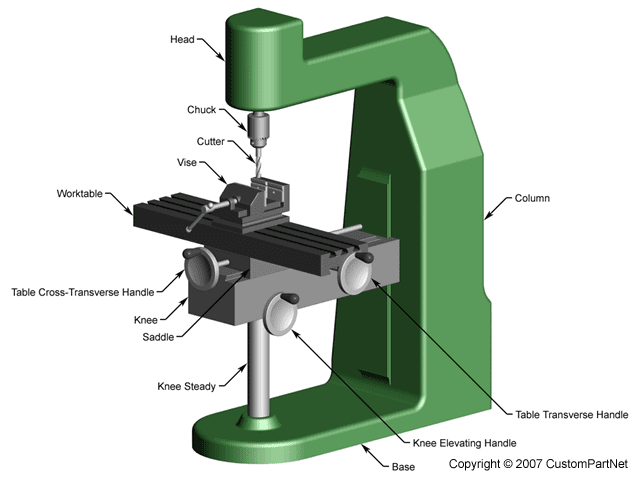 The illustration shows how each of this is used to shape a piece of metal. A lot has been said already about the lathe, since this was developed first. The lathe shown was mad in about 1880. It was four pulley wheels of different sizes, to very the speed of work piece, which is driven by the head and supported at the other end by the tail stock. The slid which hold the cutting tool can be move along the bed by hand or by means of leadscrew.It can be moved at right angle to the bed by hand. The back gear enable the speed of the leadscrew to be altered so that different types of screw threads can be cut. The first planning machine was mad by Richard Roberts, who mad worked for Maudslay, in 1817. The one shown, made in 1884, is very little different from one produced by Whitworth forty-two years earlier. The work is bolted to the table, using the many slots shown, which travels to and fro, being automatically reversed at the end of each stroke by the gear shown. The toolbox holding the cutting tool is pivoted so that it is held firm, and cuts the work piece, as the table moves to the right, but on the way back the pivote allows it to trail lightly across the work piece. The tool box is moved sideways after each stroke by the screw shown. Small planning machine are usually called shapers; in some the tool moves to and fro while the work-piece remains still. There are shaping machines in which the tool moves vertically, some time called slotting machines. Richard Roberts was one the first to produce a milling machine, adapting a lathe for the purpose. 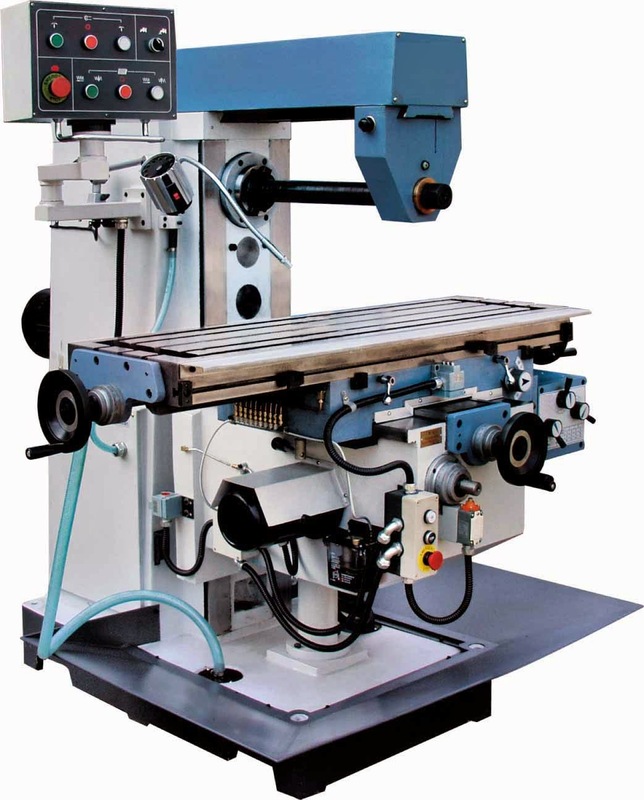 The milling machine has a revolving cutter past which the work piece is moved by means of a horizontal table. The table may reset on a saddle which allows it to move in the other direction as well. The cutter may be mounted on a horizontal shaft or on vertical one; in this case the cutter is only supported at once end, but the other end may be used to do the cutting. Shaped cutters are often used; one for cutting gear wheels is shown. 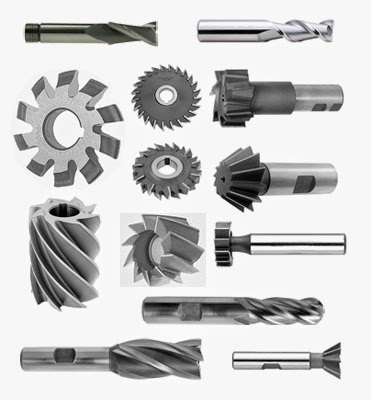 When a very smooth surface is required, grinding machines are used. For centuries, carpenters used to sandstone grinding wheel for sharpening their tools, but today artificial material such as carborundum are used. which work much better and do not wear so much. The grinding wheel still has to be reshaped from time to time, using a diamond tipped tool. A surface grinders works just like a horizontal milling machine, but in a cylindrical grinders, the work piece rotates as well as the grinding wheel, but in the opposite direction. For internal grinding, the axis of the grinding wheel, or of the work piece, has to move round in a circle as well. You’ve provided great information in this article. Many thanks for sharing the information in your blog.